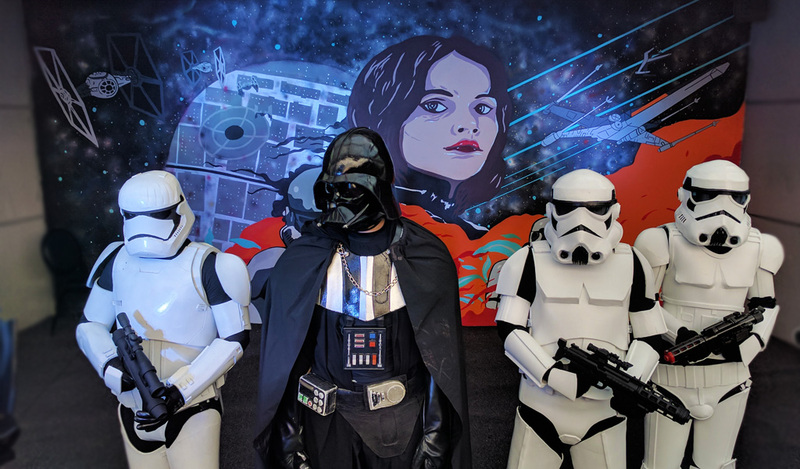 Just recently I was invited to attend and check out the Rebel Artrage, Street Art Launch of “Disney’s Star Wars Rogue One Mural” that’s located in front of the Sky Dome at SM North EDSA, Quezon City. Storm Troopers and Darth Vader were present! 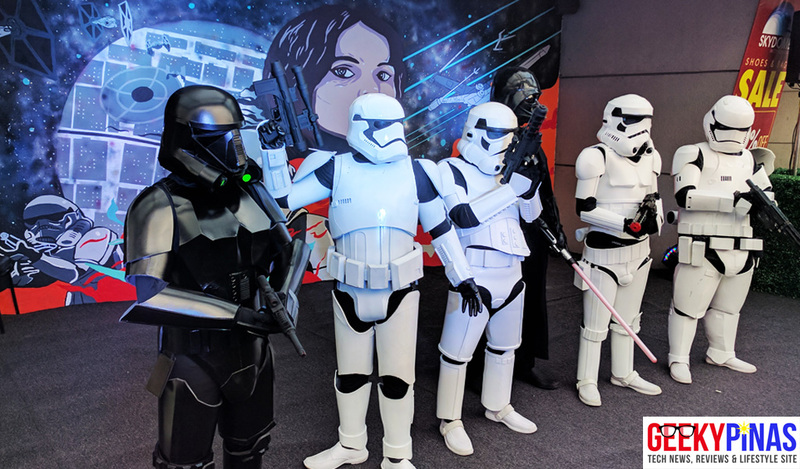 The event started with activities, interviews, games, picture taking (with the Storm Troopers & Darth Vader) and after, the unveiling of Disney’s Star Wars Rogue One Mural which looks very cool and I’m pretty sure that anyone would want to have a selfie with the art piece. 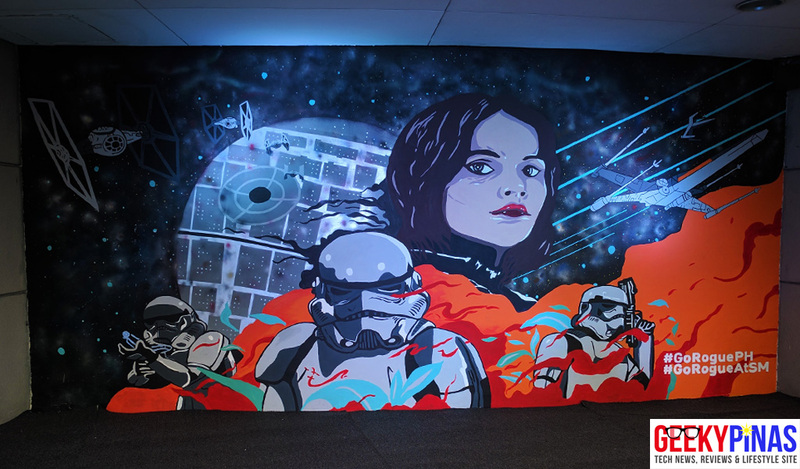 The Star Wars Mural includes elements and characters such as the Death Star, Storm Troopers, TIE fighter, X-Wing and the star of the film – Jyn Erso (the protagonist). Personally, I like works of art that are painted using real life paint, especially this one is painted by KFK Collective and is intended to be a street art with a rebellious style to match with the characters and story of the movie. 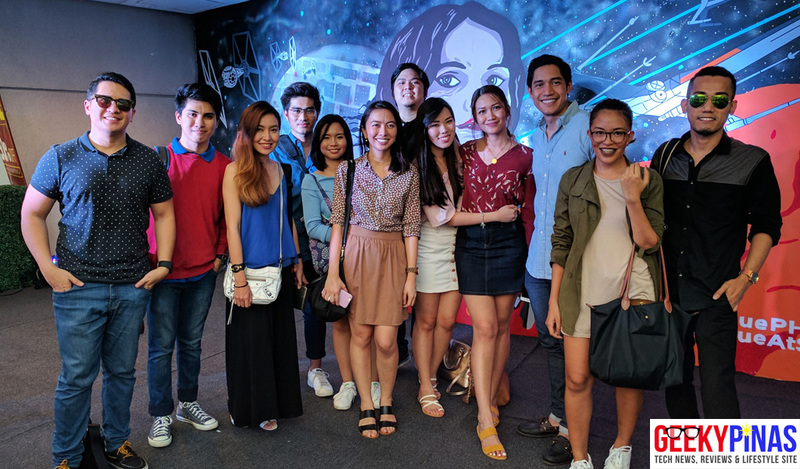 The said event was visited by fans, known bloggers, and self-confessed Star Wars fans x celebrities such as Victor Basa and Chuckie Dreyfus were present as well. 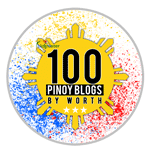 Meanwhile, 99.5 Play FM’s Disk Jockey (DJ) Justin Quirino hosted the event, leaving all passers-by to be curious and amused to the mural and to the event. 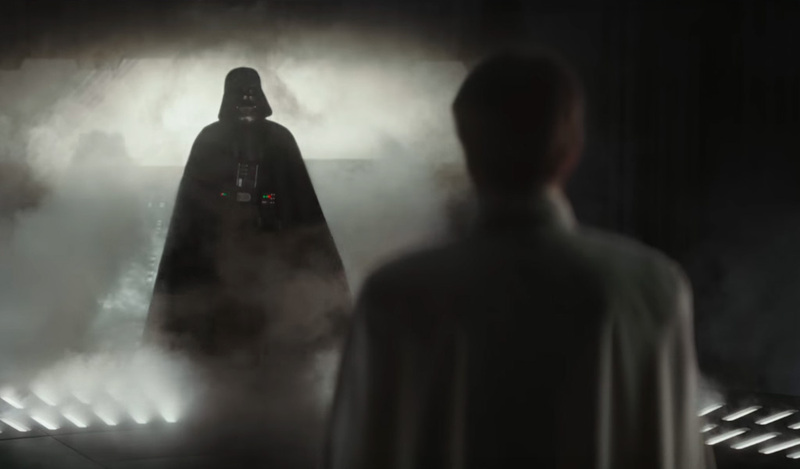 This is the first of the Star Wars standalone films, “Rogue One: A Star Wars Story” from Lucasfilm which features a new epic adventure and action to the franchise. 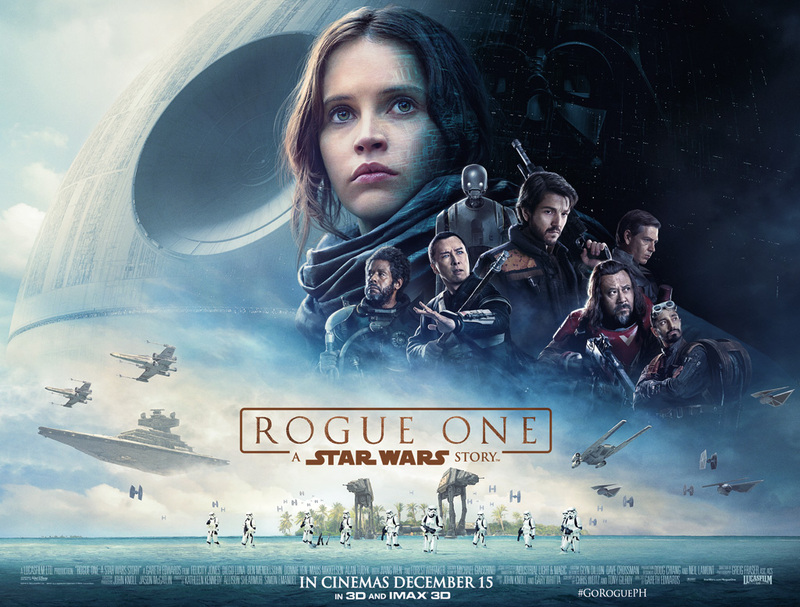 To tell a bit about the movie, a group of unlikely heroes has group together on a mission to steal the plans to the Death Star which is the Empire’s ultimate weapon of destruction. Take note that this is in a different timeline in the Star Wars universe and not a sequel from the last movie Star Wars: The Force Awakens (don’t look for Rey) rather it is in between of Episode III and Episode IV (or think of it as Episode 3.5) which is a side story and doesn’t directly involve Luke, Leia, Han, etc. 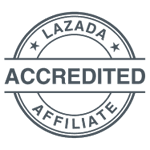 The movie brings ordinary people who choose to do extraordinary things to achieve freedom through rebellion from the Empire. I would also like to highlight that Darth Vader and Donnie Yen (from IP Man) will appear to the movie which is awesome! Expect this movie to have a very good action-packed scenes and stunning visual effects. Also, expect a lot of new faces and characters as this is a more of a side story in the series. IGN has even rated the movie as high as 9/10 which tells it is very amazing and an almost perfect film that has been released this year. 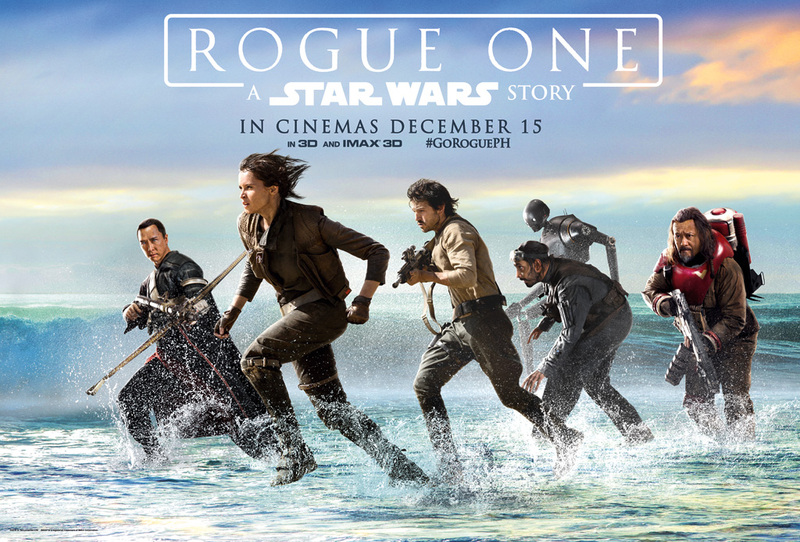 Additional info includes: “Rogue One: A Star Wars Story” is directed by Gareth Edwards and stars Felicity Jones, Diego Luna, Ben Mendelsohn, Donnie Yen, Mads Mikkelsen, Alan Tudyk, Riz Ahmed, with Jiang Wen and Forest Whitaker. Kathleen Kennedy, Allison Shearmur and Simon Emanuel are producing, with John Knoll and Jason McGatlin serving as executive producers. The story is by John Knoll and Gary Whitta, and the screenplay is by Chris Weitz and Tony Gilroy. You can watch the official trailer here.